During my recent trip to Mallorca, I had the opportunity to discover Calvia and its surroundings. Have you ever heard about the food in Mallorca? Well, if you haven’t, you don’t know what you are missing and neither did I! One of the highlights of my trip was a unique experience for foodies at UMI Mallorca restaurant in Calvia. UMI Mallorca is Asian fusion at its best with a playful mix of flavors that will make your mouth water. A total hidden gem in Mallorca! Join me on this distinctive culinary affair by reading on. 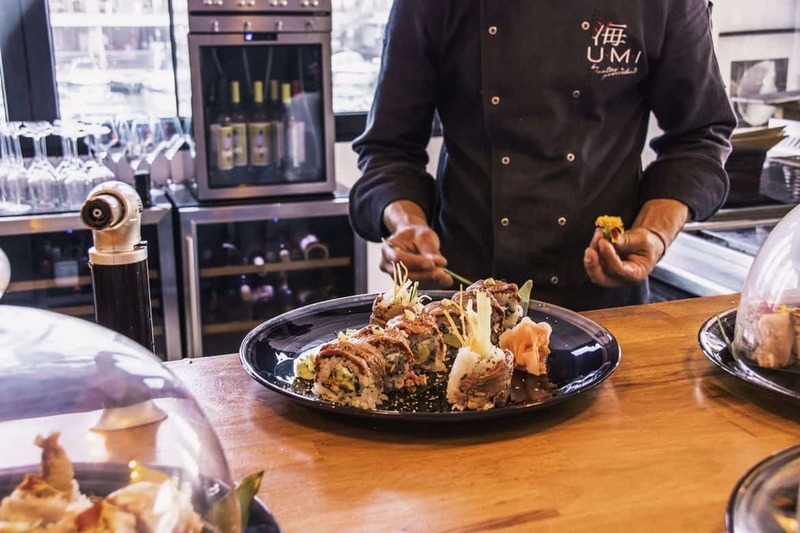 1 Food in Mallorca – A Unique Experience for Foodies at UMI! 2 What’s a poke bowl? 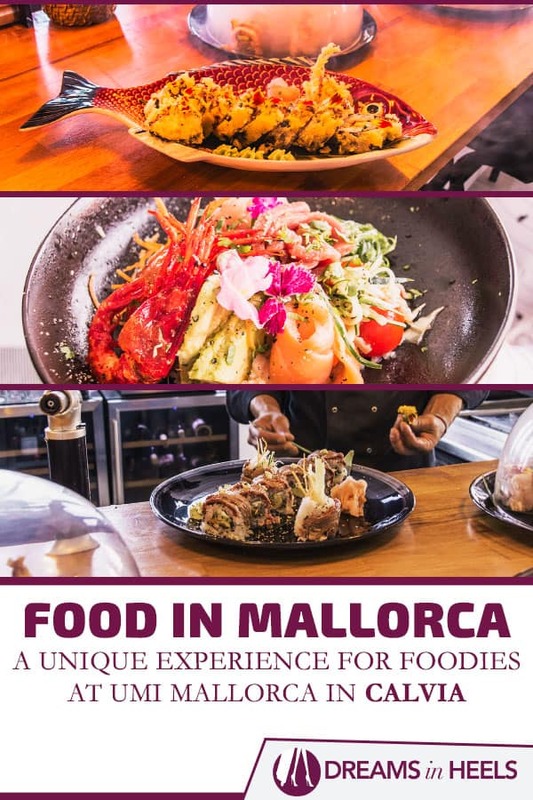 Food in Mallorca – A Unique Experience for Foodies at UMI! 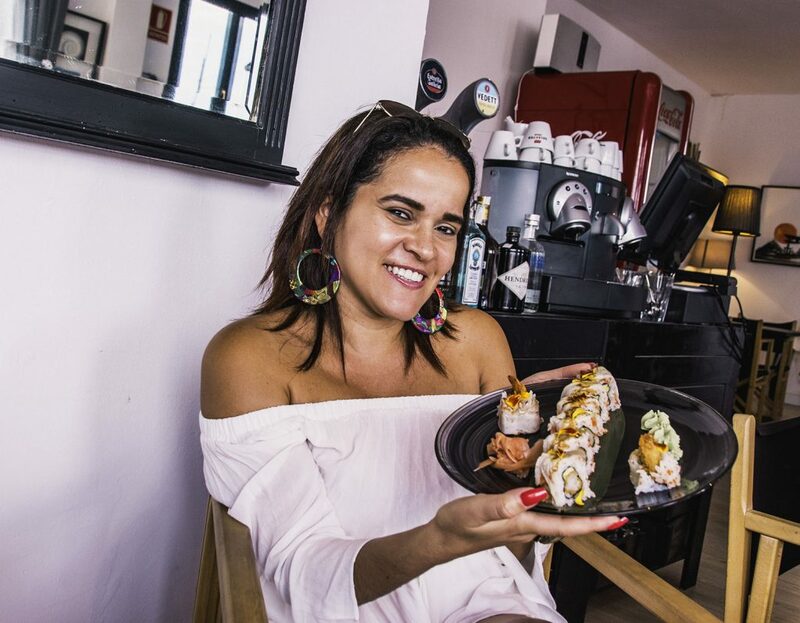 Let’s start by giving you some background: UMI Mallorca is the first poke bowl restaurant in Mallorca and is perfectly located in Port Adriano “on top of the Oca.” Umi means sea or ocean in Japanese so it’s a pretty accurate name considering the location of the restaurant. Along with the excellent views from there, there are great photo opportunities by the port, cool street art and murals. 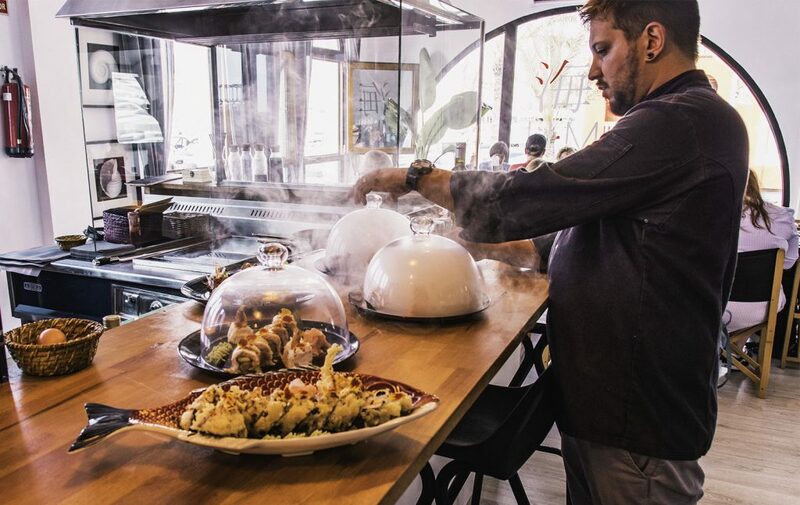 For those of you that are not familiar with poke bowls, this description from UMI’s website will explain it better: “Hawaii (the Hawaiian Islands) was the home of Poke Bowls for centuries. 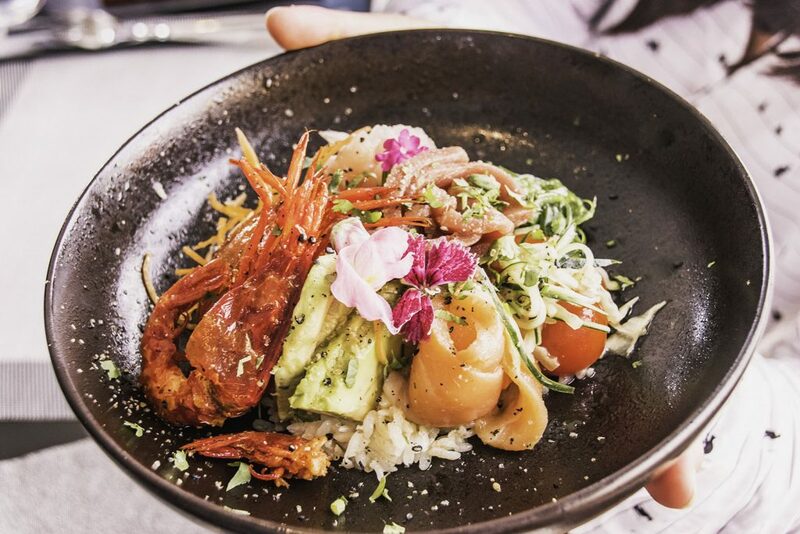 Poke Bowls: A combination of raw fish and rice, which are served with different fresh elements. A delicious mixture of raw and cooked ingredients, cold and hot, crunchy and soft, all combined in the same bowl. The poke bowls are fresh, healthy and full of natural flavors. The only catch is that they are pretty ADDICTIVE.” I agree wholeheartedly! I couldn’t get enough. I can testify about the addictive part, but also, the way they are created at UMI by super creative Chef Mattias N. Provvidenti and his staff, it is certainly beautiful to look at, photograph and wonderfully instagrammable. One of the things that I loved the most is the passion of Chef Mattias for his craft, for teaching customers and describing each plate. Chef Mattias even goes every year to different countries to continue developing his cooking skills, learning new techniques and find new ingredients which he can incorporate later into his dishes or, more accurately speaking, his UMI creations. 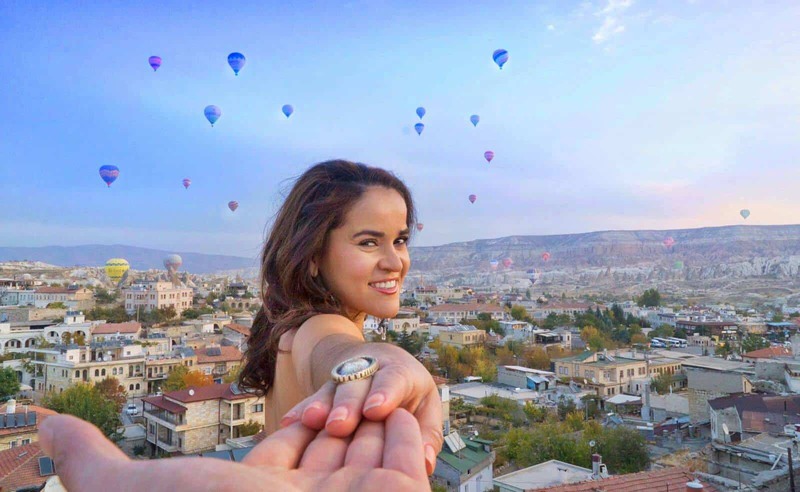 He has trained in countries such as, Japan, the Philippines, Southeast Asia, India, Central and South America, among many other countries and cities. He further explains, “The secret to my dishes is the texture and quality of the products.” Chef Mattias, with his unique signature cooking style with notable Asian infuences, loves playing with textures, flavors and colors of the land, the sea and the air. It’s really more of an art form. 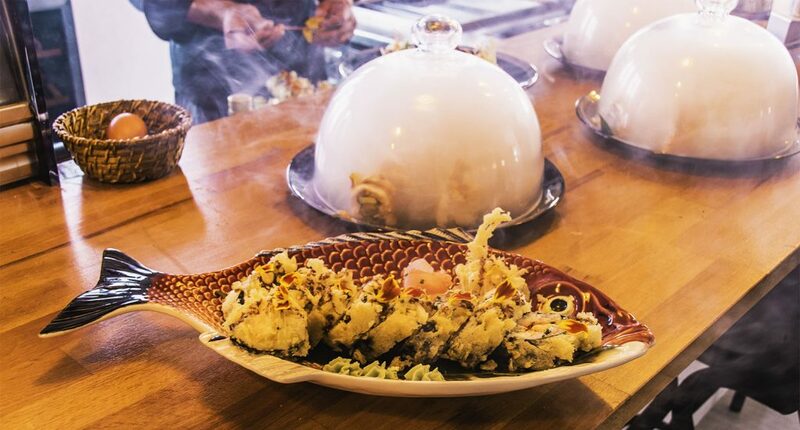 No need to worry, there is something for everyone at UMI: Dishes for meat lovers, seafood lovers, vegetarians or vegans. They can also customize plates depending on allergies, preferences, etc. Since it’s practically made to order, you can’t go wrong to satisfy your tastes. 1. 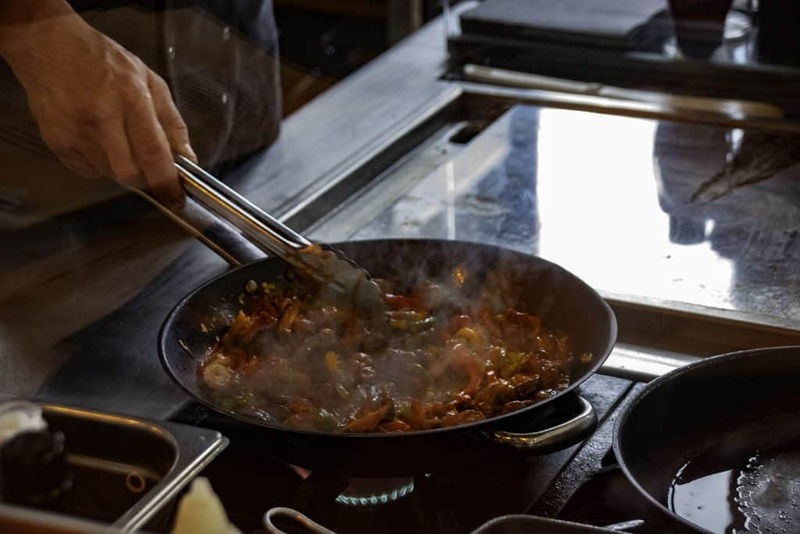 Iberian Pork POKE contains Iberian pork at low temperature, sautéed mushrooms, pekin sauce and rolled almonds. 2. 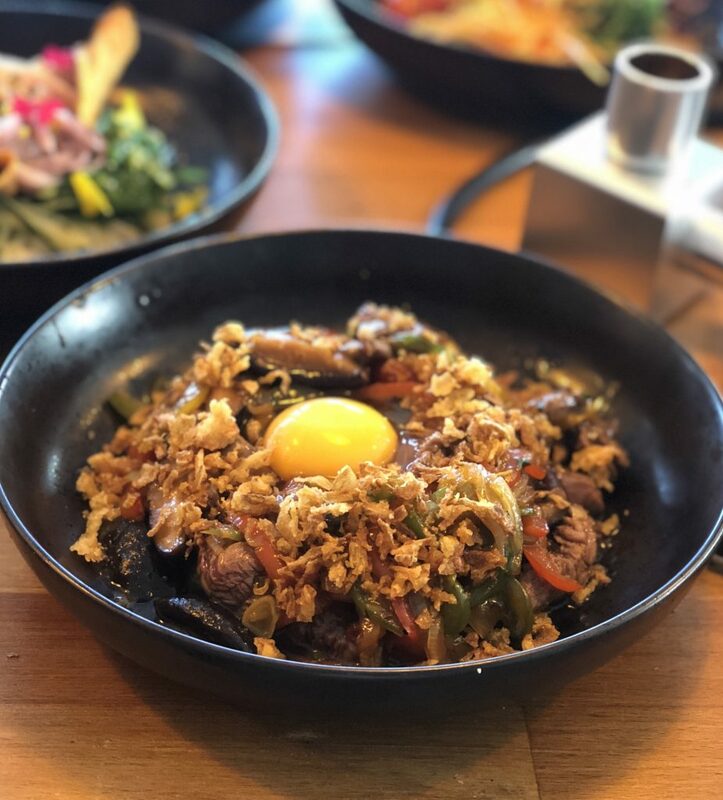 Deluxe Wagyu Poke Bowl includes Wagyu beef, shitake mushrooms, peppers, red onions, teriyaki and egg. My favorite of the two was the second one because of the unique mix of flavors. A must try! Of all of the cold poke bowls, my favorite, as a bonefide seafood lover, is the Mix Poke Bowl. I love that it has a little bit of everything, making it an incredible combination with a tasty experience for your mouth. It includes Salmon, tuna, prawns, sirvia, cucumber, avocado, wakame, carrots, coriander and citric sauce. Yummy! As you know, a meal is not complete without something sweet. From the desserts, I just had to try two from the menu (from amongst many delicious options). One was the Green tea coulant with white chocolate and purple ice cream. It was really fantastic. But the dessert that stood out the most for me includes a unique experience: Lulo sorbet with electric ﬂower. I definitely have to describe this one to you. You need to first try the Lulo Sorbet. Lulo is a fruit that comes from a subtropical perennial plant from Northwestern, South America. It is very popular in Ecuador, Colombia and many other places in South America. When I visited Ecuador, people there usually drink Lulo juices (or what they called the fruit there, Naranjilla), since it’s very good for your health. The fruit has a citrus flavor, sometimes described as a combination of rhubarb and lime. Anyhoo, going back to the dessert, after you’ve had some Lulo ice cream by itself, then you put the electric flower in your mouth and chew it for 20 seconds. You will feel a sort of tickling in your mouth, as if little ants are running around inside your mouth. Then, after chewing the flower for 20 seconds, you again try the Lulo Ice cream and indulge on the change and explosion of flavors as a result. It’s really a unique dessert with a twist! Are you tempted to try Chef Mattias food creations? 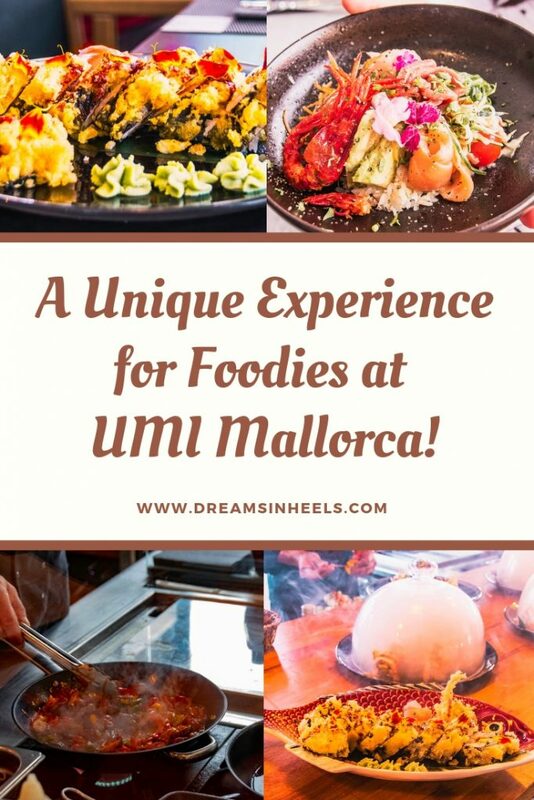 UMI Mallorca is definitely a unique experience for foodies! Their flavors and culinary experiences are something that can never be forgotten. 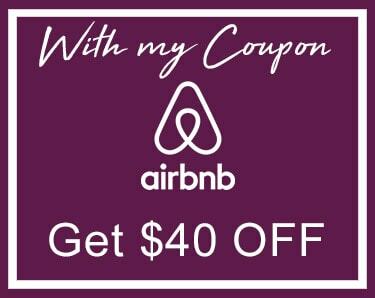 If you have been, or want to go, share your comments below. Also, let us know: what other places do you recommend for Unique Experiences of food in Mallorca?